Patent Pending – Kafko is the only manufacturer offering this revolutionary breakthrough in Vinyl Liners – “The strongest seams you’ll never see!” And there is no one who you can trust more to install your new Ultra Seam Vinyl Liner than Andy Cook. 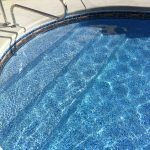 Andy has been with Kafko since 1987 and Kafko recommends Andy to install your new Vinyl Liner Pool and Liner Replacement! 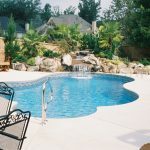 *With a Vinyl Pool you can add swimouts, Salt System, Waterfalls, and other great custom features! 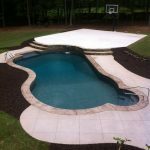 5 SUPERMAX Liners – 30Mil Material at 20Mil Pricing!! 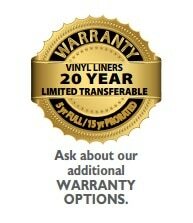 *20 Years – Manufacturer Warranty – Best Warranty in the Business!! 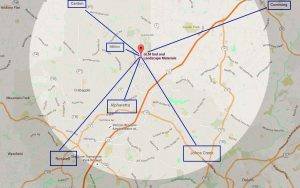 -The first 5 years being a complete warranty covering manufacturer defects and labor, followed by 15 prorated years. 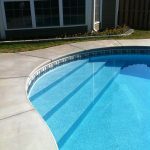 16×36 Taromina Vinyl Pool. 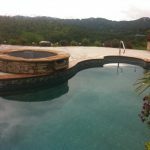 30Mil Supermax – Panama Tile / Prism Pattern. 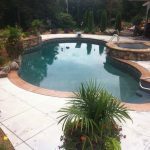 Flagstone Border.Canton, GA.
16×32 Taormina Vinyl Pool – 30 Mil Supermax Panama Tile/Prism Pattern, Diving Board. 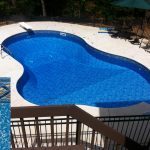 Marietta, GA.
Vinyl Pool, 30/20 Duomax – Cheyenne Tile / Crystal Pattern with a Sheer Descent Waterfall and Vinyl Over Bench. 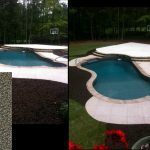 18×38 Freeform Vinyl Pool, 30Mil Gold Pebble Pattern (No Tile). 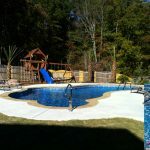 Sheer Descent Stone Wall, Flagstone Border and Basketball Court. 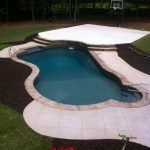 Canton, GA.
Vinyl with Rock Wall and Spillover Spa. 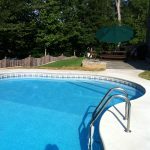 Vinyl Over Custom Steps – Step into your luxurious pool!